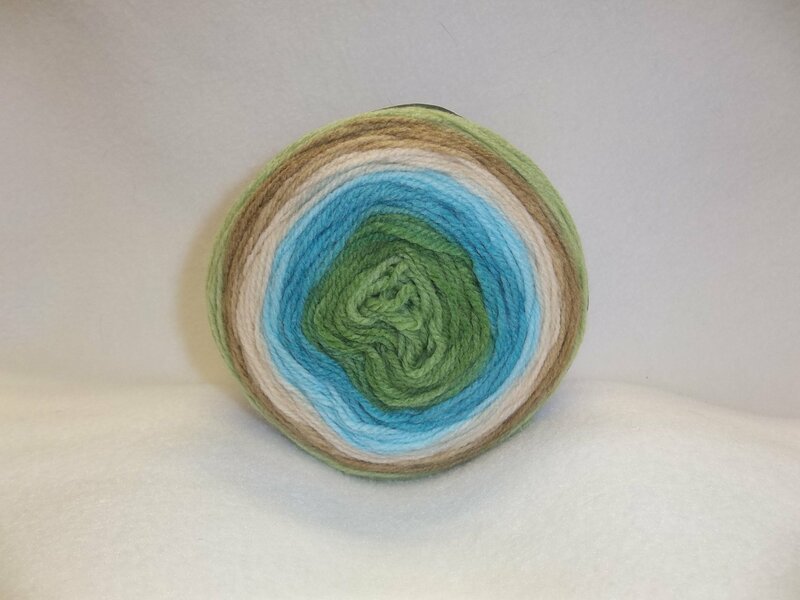 Pattercakes is a DK weight yarn that self-stripes through 8 colors. A skein contains 545 yds. of DK weight yarn in 70% acrylic and 30% nylon. Knit on a US 6, the gauge is 22 sts. and 28 rows to 4 inches. US F/5 hook is recommended. Machine wash cold and tumble dry low or dry flat.